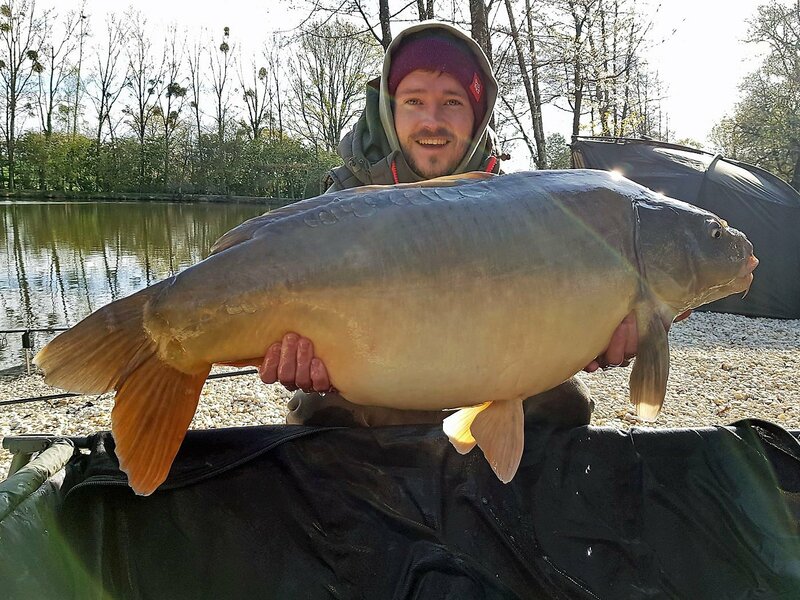 Plenty of big carp again this week for our three anglers with a new PB of 41lbs 8oz and 7 x 35’s and 4 x 30’s! 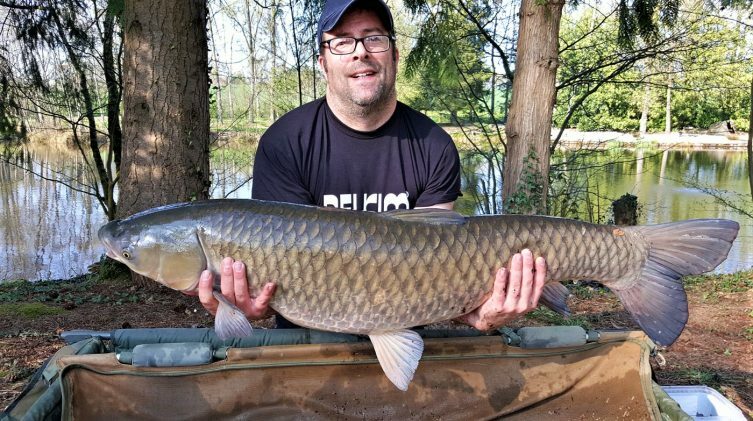 For their French carp fishing holiday this year, James, Elliot and Damo came back to Beausoleil, 2 years after their last visit. Last time, their girlfriends joined them, this time, they were on their own. With more time to focus on nothing but fishing the guys had been looking forward to this trip for quite a while! They are big fans of Beausoleil and appreciate the extra effort we go to in all areas. With pedestrian access to the Island Point and Big Double swims restricted while we let the new soil settle, Elliot chose to row over to the Island point swim and set up camp there. Damo and James split the Point swims between them with Damo taking the shallows and James taking a big chunk of the deeper water. Elliot was off the mark first on Sunday morning. After a quiet night, he’d been up early watching the water when one boshed out off the end of the island. 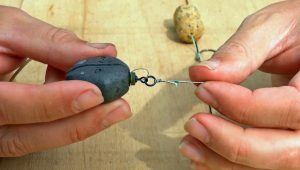 Without hesitation, he wound in one of his rods and flicked it out perfectly. 10 minutes later, he was connected to Helix (one of our Royales stocked in 2017). 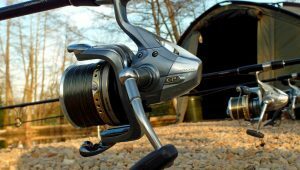 Now at 33lbs 4oz Helix was looking very clean after the winter. 30 minutes later, Elliott was in again from the same spot with Planets at 39lbs. Excellent work! James was the next angler to taste success. He’d been baiting fairly heavily and the fish had taken a while to respond but what a first fish. 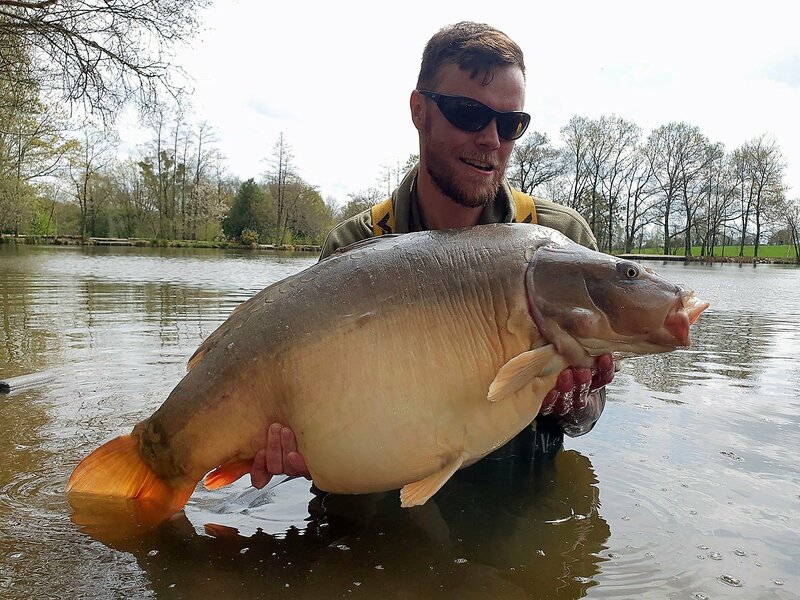 He’d only gone and banked Cut Tail at 41lbs 8oz! 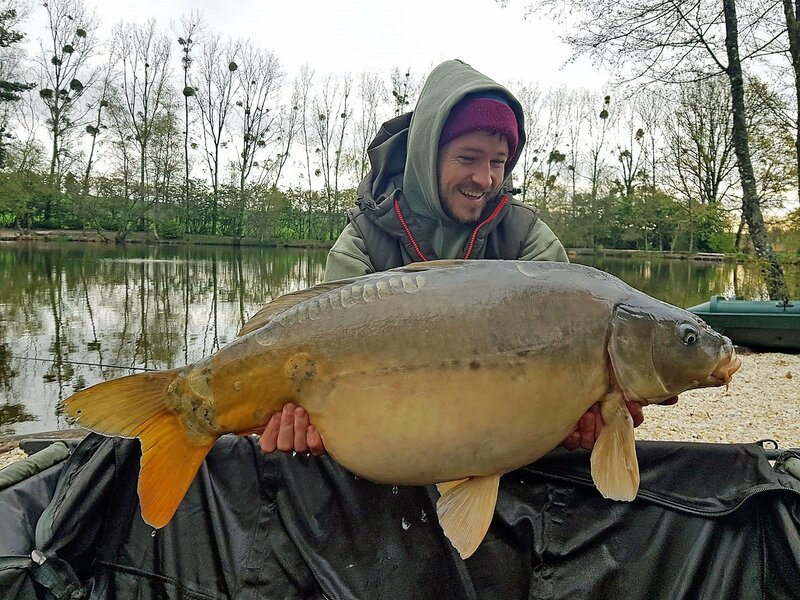 We stocked Cut tail at 30lbs in 2013 so he’s been with us a few years now and it’s fabulous to have another 40lb mirror. It was a new PB for James and he was absolutely buzzing! 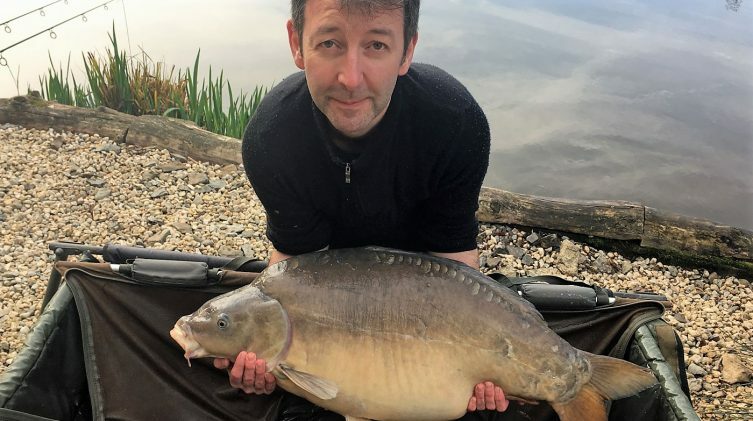 With the code cracked on one margin, the next two fish out were Lily at 35lbs followed by The Sub at 38lbs (both fell to James). 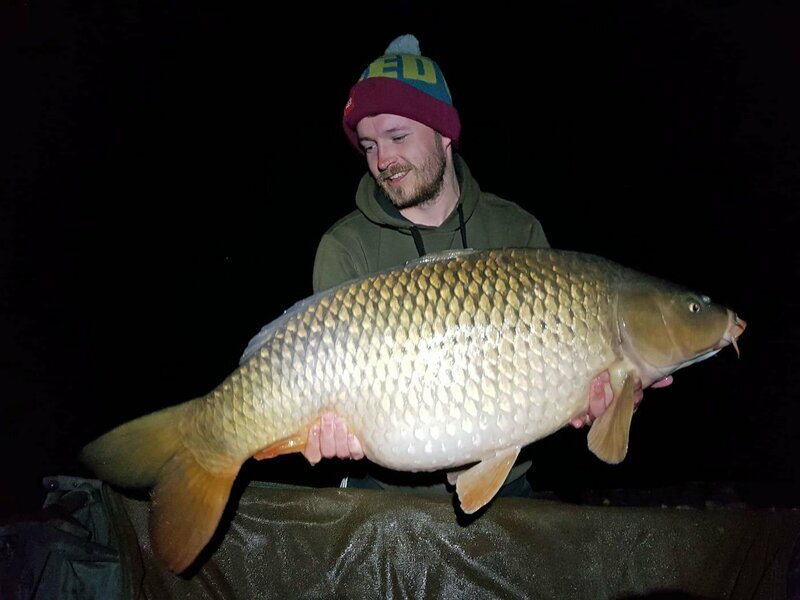 Following a move to this margin, Elliot also then banked Dink at 37lbs and then it was back to James with a proper mint common at 31lbs. 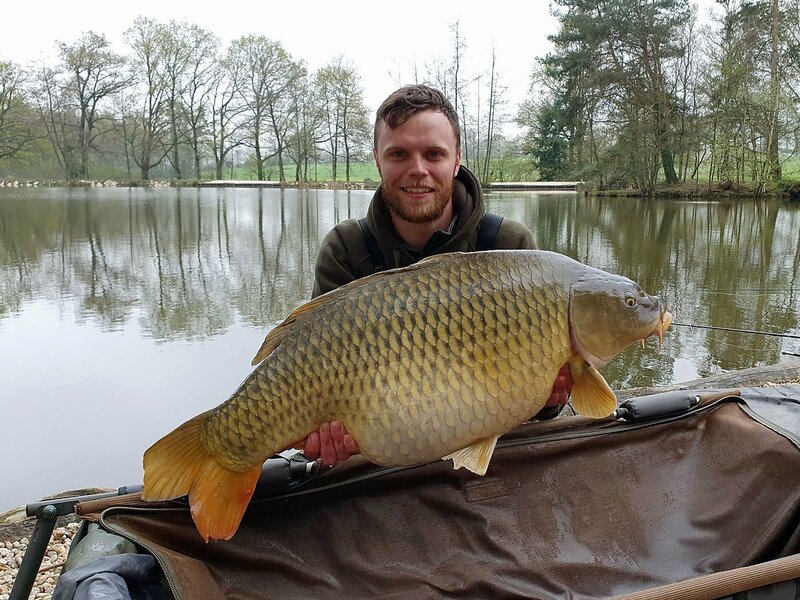 Back at Beausoleil, Elliot and James were still working hard at their fishing but they found the conditions difficult to read as the bites were coming at no particular times. The temperature was swinging from near freezing through to near 20 degrees some days and I’m sure this had an effect on the fishing. Undeterred, they continued to work the problem and picked up bites from whenever and wherever they could. After seeing so many catfish out during the first couple of weeks, the guys were confident for a bite. They started by applying lots of bait over a wide area but after a few days, it still wasn’t happening. After having a chat, they then switched to the Beausoleil tried and tested strategy of “catfish traps”. 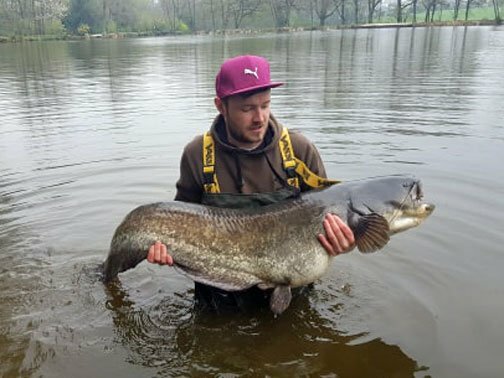 Four hours later, they got the take they wanted and Elliot banked a new PB catfish of 53lbs. With most of the fish showing near the dam wall, Elliott and James split the area between them. Elliott was targeting the sluice area but couldn’t get a bite. Turns out that area is quite tricky and one foot either way can make the difference between getting a bite or not! After repositioning the rig by a relative fraction to a known spot, he got three bites and converted two of them! In fact the first take was so fast Elliott didn’t even get the chance to put the bobbin back on! James finished the week in style with one last bite just before winding in on Saturday morning. 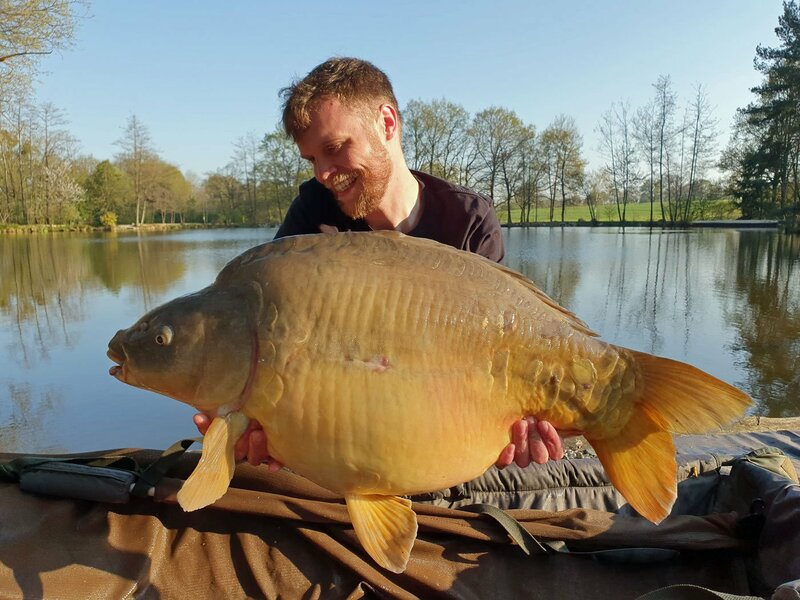 After two false alarms during the night due to liners, he replaced the rig one last time and his efforts paid off with the beautiful Audrey (Ren’s favourite) at a new top weight of 35lbs. 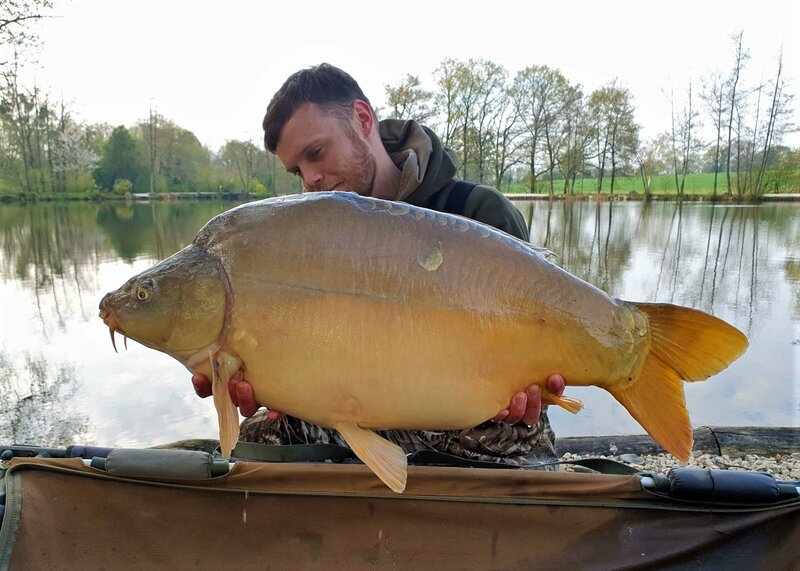 It was also interesting to see the incredibly high average weight of the carp this week at 36lbs, with the smallest being 31lbs and the best 41lbs 8oz. These are the sort of numbers we’ve been aiming for for years so it’s great to see all the hard work paying off. 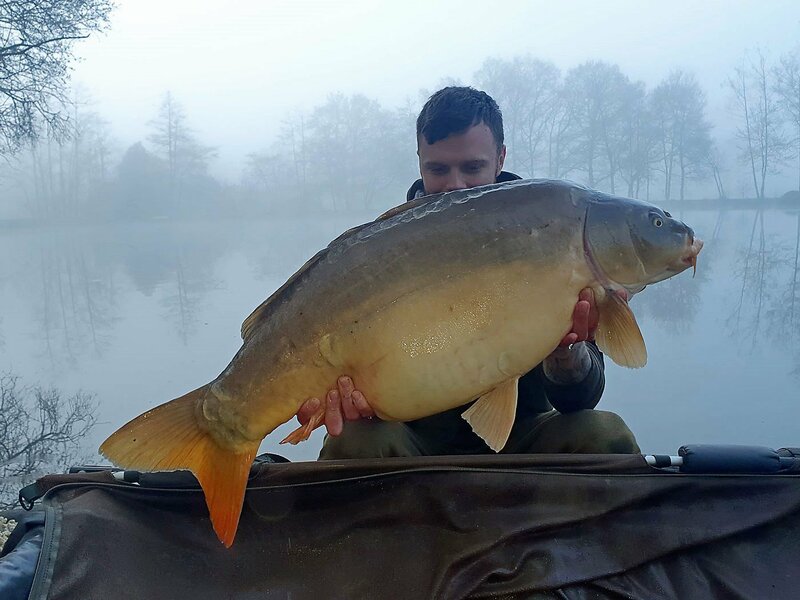 Top rod James used 12kg of our Nutty Banoffee boilies and house pellet to great effect. 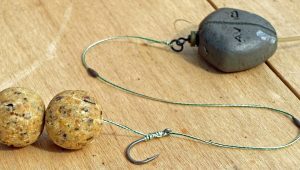 He coupled this with a selection of our rigs and then used these as patterns to make more as he needed. Damo also had a couple of rigs and some of our bait. 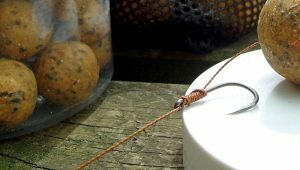 Elliot stuck to his own bait and rigs. Big congrats to the guys for the captures this week and for the care and attention taken with the photos and weights. Top angling! Number of anglers: 3 for 3 days, then down to 2 as one had to return home for the birth of his first son! Cast at showing fish. Baits spread along the margin from catfish corner to the sluice. Hot days, very cold nights, a few showers. Already have. This is our 2nd trip. Love the place! For god's sake listen to Matt!! His advice really helps. Very spotty venue.